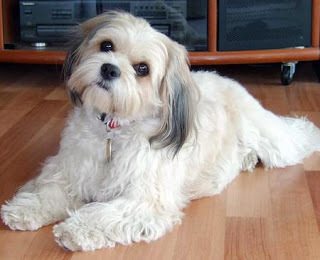 Tha Cavachon, typically referred to as designer dogs, is a cross between two breeds, the Bichon Frise and the Cavalier King Charles Spaniel. They are very popular especially with people suffering from asthma and other allergy problems. Even though they are small to medium in size, their large and expressive eyes grab peoples attention. They are attentive, strong, energetic and vivacious and love to play with children and other pets of the family they are raised with.